So far wbcoles has created 39 blog entries. 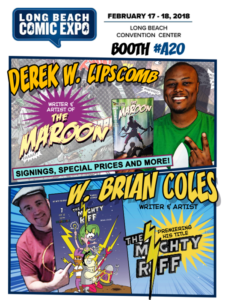 The kind folks at ComicBasics.com chatted with Bri-guy re: The Mighty Riff™, The Happy Middle and advice on getting into the industry! 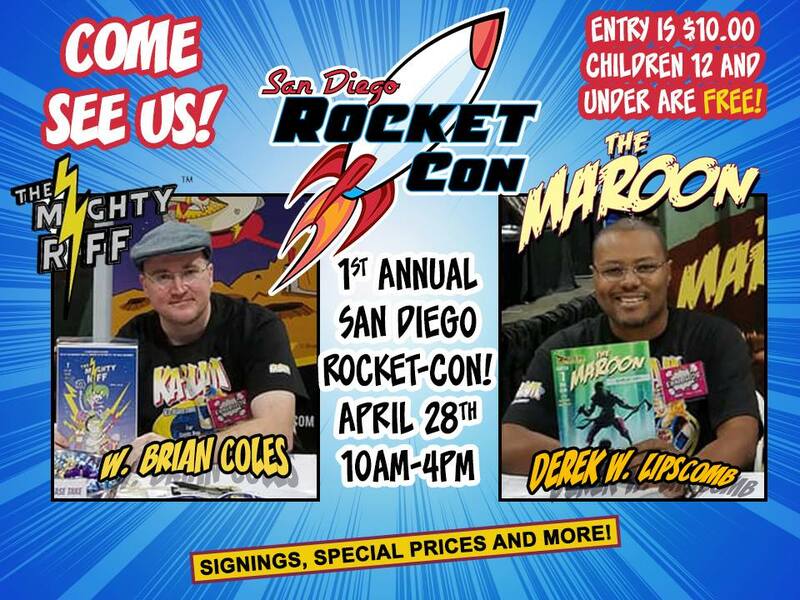 SD Rocket Con Debuts April 28th And We’ll Be There! 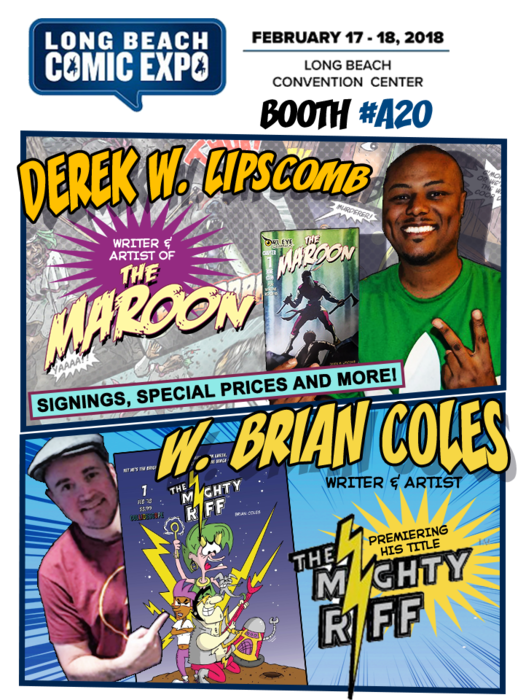 Myself and Derek W. Lipscomb will be promoting our works, The Mighty Riff™ and The Maroon, respectively. I will also put a few prints of The Happy Middle out for sale (super cheap! I promise!). 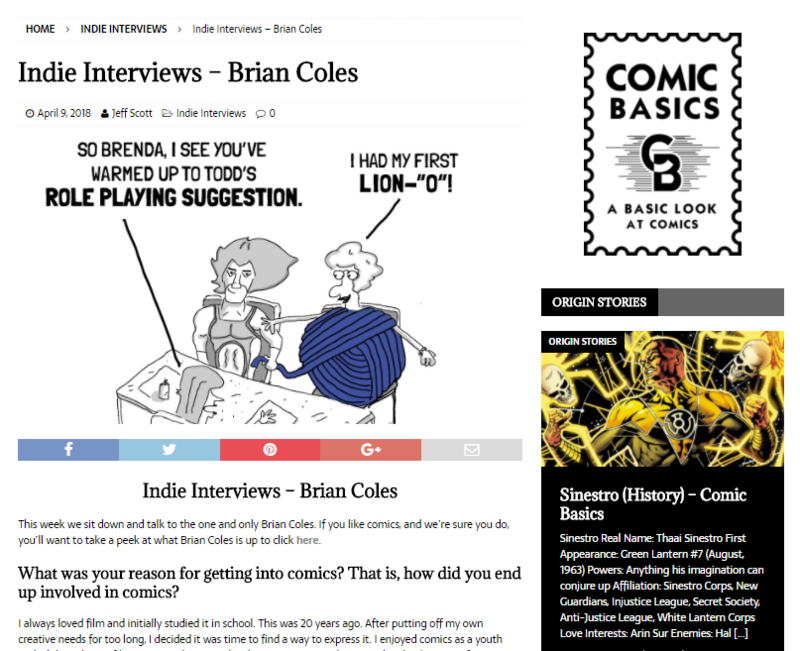 Fanbase Press Interview With Bri-Guy! Barbra J Dillon at Fanbase Press was kind enough to interview yours truly regarding The Mighty Riff™ and the creative process! Click here to read! How To Manage the Whack-A-Mole Black Hole – Motivation For Creatives! I am creating this new blog section to hopefully motivate other creatives as well as remind myself what works to keep the gears moving! We’re meant to move. And a huge part of moving is moving others. 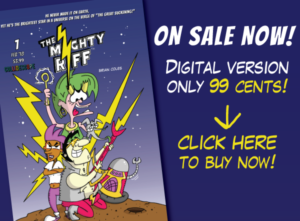 The Mighty Riff™ Debut Issue Available for Digital Download for only 99 Cents! Rock n’ Roll Space Opera Meets Benny Hill? 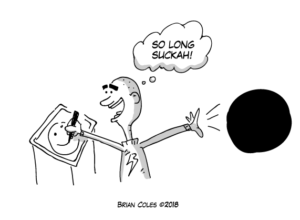 As a Comic? INSANITY! Come on by and join the madness!